Since the ending of the Cold War, and especially since 9/11, the politics of western aid and international development in Africa have become ‘securitized’ and ‘militarized’, most especially in those areas that are considered ‘hot spots’ in the ‘global war on terror’. Despite differing interpretations of what this process entails, there is widespread agreement that ‘securitization’ has had an unwelcome and negative impact on key development areas, such as social development, human rights and governance reform; and that the security agenda of the global war on terror has been devised and promoted by western actors imposing a securitized approach upon passive and vulnerable states in the South. 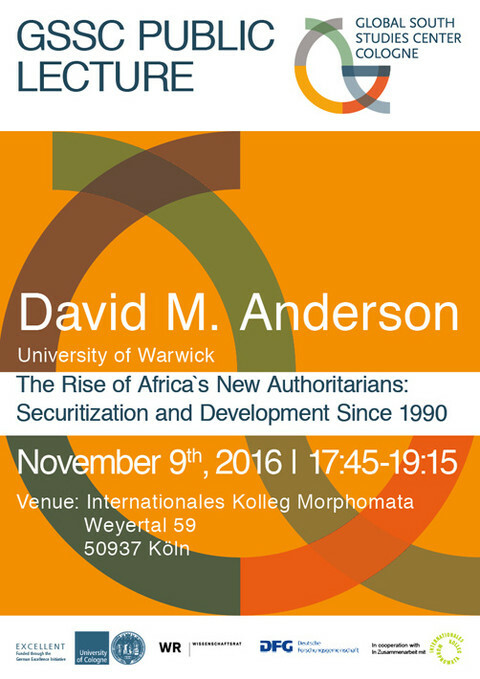 This lecture offers a corrective to both of these arguments by focusing on the role of governments in Africa that have eagerly embraced the securitization agenda, actively promoting its practice. These ‘neo-Pan-Africanists’ celebrate the security agenda as an empowering and effective means to mobilize African political agency. Adopting strategies of ‘illiberal state-building’, the ‘securitization’ of the relationship with western donors is neither unwelcome nor problematic for many African governments. From Ndjamena to Kigali, a range of regimes, many emerging from civil war and out of military guerrilla organizations during the 1980s and 1990s, have conducted their state-building around a set of authoritarian and militarized practices, readily adopting and adapting the securitization agenda. These governments have regularly used military means to settle problems at their borders, frequently resorting to harsh repression of internal dissent. Despite these authoritarian tendencies, western enthusiasm for supporting, training and arming the military and security services of these states has grown unabated. As a consequence, illiberal states are emerging and growing stronger in Africa, supported by securitization and the enthusiasm of western governments to put security above all else.